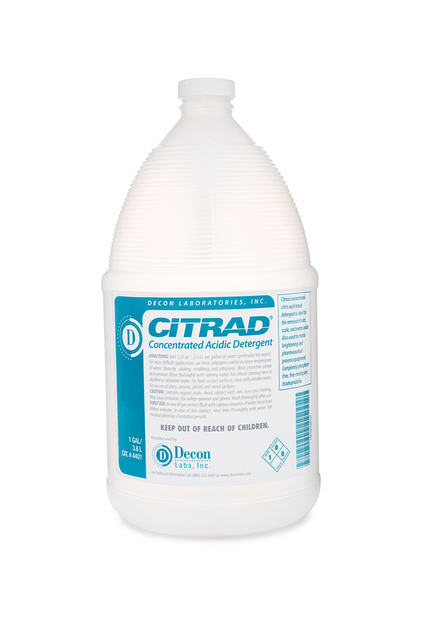 Citrad®concentrated acidic detergent is ideal for the removal of salts, scale, and metal-oxide. Also used for metal brightening and pharmaceutical-process equipment. Completely phosphate-free, free-rinsing and biodegradable.